Getting a prescription via text is a possibility. 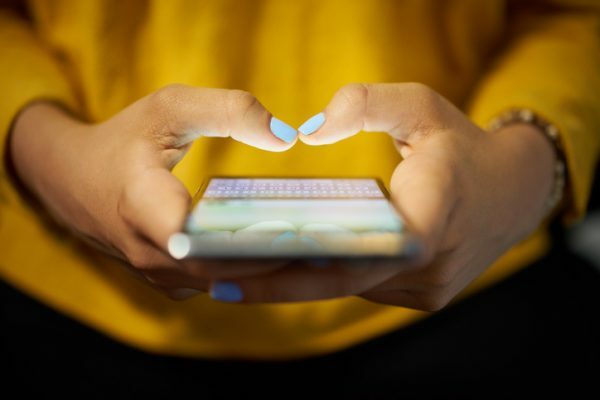 San Francisco, California-based HeyDoctor has released a new telemedicine app that enables physicians to prescribe certain treatments through text messaging. It works like this: Patients can download the app and click on the issue that fits their need. HeyDoctor currently offers a variety of services, including UTI testing, acne diagnosis, cold sore management, birth control, HIV testing, erectile dysfunction treatment, smoking cessation and more. After answering a few questions about their condition, the patient’s needs are evaluated by a doctor, who prescribes proper treatment. Any medications needed can be sent via mail order or picked up at a pharmacy. Patients don’t need health insurance to use the app. Instead, they can use a credit or debit card to pay for care. In a recent phone interview, HeyDoctor cofounder and CMO Brendan Levy said a service like UTI testing and treatment costs about $20. Consultations are administered by HeyDoctor’s own in-house medical team of board-certified physicians. Levy, a family medicine doctor, said the company’s origins stem from his interest in making it easier for physicians to connect with patients. At the beginning of 2017, he and Rohit Malhotra founded HeyDoctor to fulfill that goal and help people get low-acuity primary care online. Currently, the startup is pursuing a direct-to-consumer business model. Going forward, Levy noted that HeyDoctor may also partner with health systems to provide ongoing care to specific patient populations. “You could follow up on our platform [and] have better results and lower costs,” he said. To ensure it’s keeping patients’ information safe, Levy said HeyDoctor utilizes encryption technologies and security consultants. “We think that security’s obviously paramount,” he noted. Currently, the app is available in 19 states: Arizona, California, Connecticut, Florida, Georgia, Illinois, Indiana, Missouri, Montana, Nebraska, New York, Ohio, Oregon, Pennsylvania, Rhode Island, South Carolina, Vermont, Virginia and Washington. Within the next three months, it plans to expand to 10 more: Alaska, Colorado, Delaware, Kentucky, Mississippi, New Mexico, Tennessee, Texas, Wisconsin and Wyoming. In addition to expanding geographically, Levy said HeyDoctor also wants to increase the number of services it offers. Overall, one of the key benefits of the startup’s technology is that it enables patients to follow up with the same provider fairly quickly after the initial diagnosis. “In this case, it’s nice because you have an ongoing chat relationship,” Levy said. HeyDoctor isn’t the only company taking advantage of texting capabilities. Earlier this year, Austin, Texas-based Medici launched as a messaging app that allows patients to text all their doctors — including their physician, dentist, therapist and veterinarian — from a single platform.